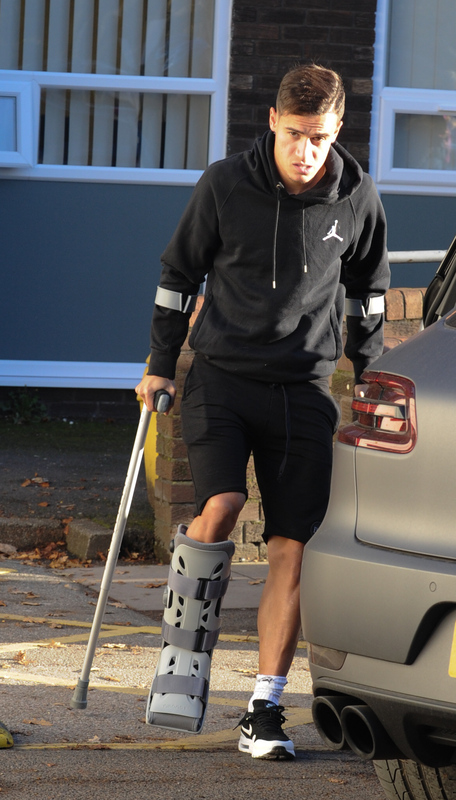 Philippe Coutinho is set to miss up to six weeks of action with ankle ligament damage, ruling him out of much of Liverpool’s busy Christmas schedule. The Brazilian was substituted in the first half of the Reds’ 2-0 victory over Sunderland on Saturday and underwent a scan at Spire Hospital in Liverpool on Monday afternoon. Liverpool are hopeful Coutinho may not need the full six-week recovery period usually required for this type of injury but he will almost certainly miss the Merseyside derby at Everton on December 19, with the clash against Manchester City on December 31 targeted for a potential early return. After closing out November with a League Cup fixture against Leeds United on Tuesday night, Liverpool will face a run of six matches before the New Year. The Reds will be without several attacking options for the visit of Leeds, with Daniel Sturridge and Adam Lallana also currently sidelined and Roberto Firmino likely to sit the game out after being substituted with a knock against Sunderland. Divock Origi scored the winner after replacing Coutinho against the Black Cats and could be rewarded with increased first-team football in the coming weeks, while highly rated youngster Ben Woodburn also appeared from the bench. Coutinho has been in sensational form for Liverpool this season. The 24-year-old has recorded five goals and five assists in 13 Premier League appearances and was nominated for the division’s player of the month award for October. He has played a key part of Jurgen Klopp side’s ascent to second in the table, with their 32 goals scored currently the highest total in the English top flight.